I stumbled across a really cool tool that I thought you’d like. It’s called the Business Model Canvas and it’s a way for you to analyze your business model and create/innovate new ones. Customer Segments (see the right side of the image) are the demographic groups you serve. Customer Relationships are a description of how you relate to the people you’ve just listed in Customer Segments. Value Proposition (see the center of the image) is the value you offer to your Customer Segments. Channels is how you communicate your Value Proposition to your Customer Segments. Key Partners (see the left side of the image) are the vendors and suppliers you do business with. Key Activities are the things you do to make your Value Propositions happen. Key Resources are the things that your Value Propositions require to be completed. Cost Structure (see the lower left side of the image) is how you pay to run your business. Revenue Streams (see the lower right side of the image) are the ways you make money. Start by filling out the Business Model Canvas for your company as it exists today. If you are just starting a business, this is your opportunity to create your business model from scratch. Explore how others are operating in each of these model segments and see if you can do things differently. A slightly different Customer Segment or a slightly different Value Proposition, for example, can be the differentiating factor you need. Have others in your organization fill out the Business Model Canvas and see how their version is similar or different than yours. Compile a company-wide canvas that everyone can agree on and get excited about. 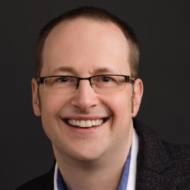 Use the same Business Model Canvas to do competitive analysis and see what other people in your industry are doing well (and where you can create a competitive advantage). Create metrics for each section and measure team performance on their contribution to those metrics. For example, did they improve customer relationships? Did they increase revenue streams? Etc. Combine the Business Model Canvas with another tool like Blue Ocean Strategy. 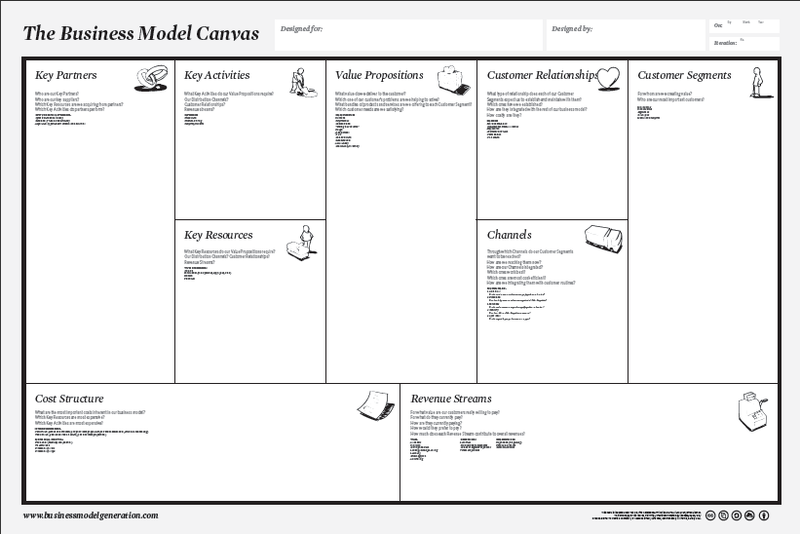 Use these 9 Business Model Canvas sections as 9 elements for Blue Ocean Strategy. Use the Business Model Canvas to inform your development of your sales funnel – Customer Segments and Value Proposition help you know who to talk to and what to say, while Customer Relationships and Channels help you know how to move your Customer Segments through the sales funnel. Key Activities and Key Resources are used (usually at delivery but also at other times in the sales funnel). To use the Business Model Canvas, visit BusinessModelGeneration.com where you can download a free PDF of the Business Model Canvas for yourself, as well as access their foundry and app store.